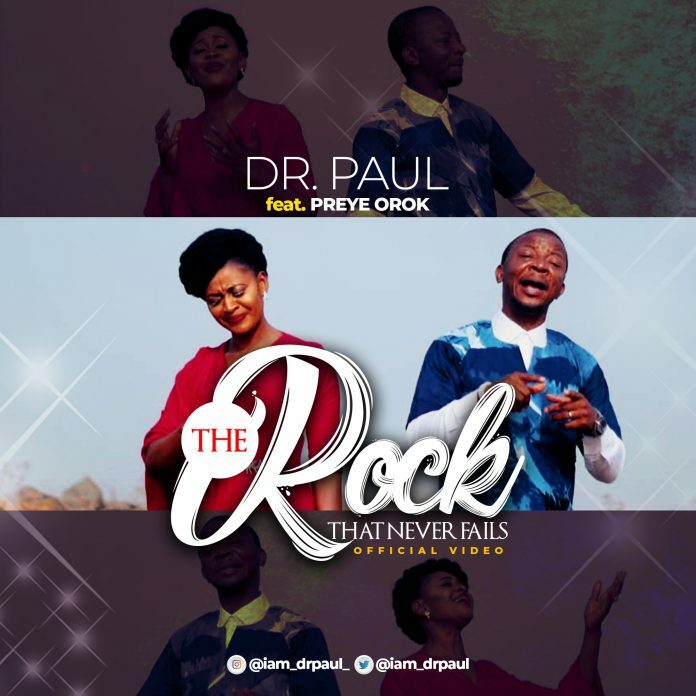 Dr. Paul has just dropped the video of his hit song, The Rock That Never Fails featuring the powerful and anointed worship minstrel, Preye Orok. This song has been received far and wide by listeners, as God has been using it to touch the souls of men and to remind that there’s still a ROCK that never fails, even though humans can fail you. Produced by Sunny Pee, the producer of the renowned song Ekwueme and many other songs currently topping the gospel charts.